DC United and New York Red Bulls face each other at Audi Field in what is expected to be one of the most entertaining games of Sunday’s program. The capital club are eager to make it to the play-offs, but they will have to be at their sharpest in the remainder of the season if they are to meet the goal. 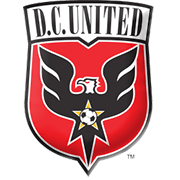 DC United did well to outplay star-studded Atlanta United at home earlier in September, which is certainly giving fans a reason for optimism ahead of the visit of New York Red Bulls. The Metros, on the other hand, suffered a heavy 3-0 loss to Montreal Impact in their last league match and, no doubt, they are eager to return to winning ways. Bradley Wright-Phillips, who has netted 16 goals in the Major League Soccer so far this term, will be the man to watch in the away side, but seeing that DC United are tough to beat at home, share of spoils is on the horizon. Vytautas Andriuskevicius is a Lithuania international who plays for Portland Timbers as a left back. Andriuskevicius started his senior career at FBK Kaunas, but he made no more than 17 league appearances for the Lithuanian club from 2007 to 2010. In 2010 he joined Polish outfit Lechia Gdansk and he spent three seasons at Stadion Energa Gdansk. After ending his spell with Lechia, Vytautas Andriuskevicius moved to Sweden, signing a deal with Djurgardens. He played 31 league games for the Iron Stoves and at the end of the 2013/2014 season he joined Cambuur. After spending two seasons in the Dutch club, the Lithuanian footballer signed for Major League Soccer club Portland Timbers on July 14, 2016. Andriuskevicius is a full back who side position is centre back and it has to be noted that he was born on October 8, 1990 in Alytus, Lithuania. The 188-cm tall defender made his Lithuania debut on August 10, 2011 in a friendly against Armenia. 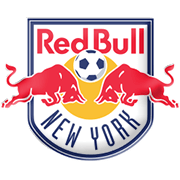 New York Red Bulls is the first club from New York City to join Major League Soccer. In 2006 the club was sold to Red Bull GmbH and, as a result, they are nicknamed the Red Bulls. New York welcome their rivals at Red Bull Arena and the team’s home colors are white and red. On the other hand, the Red Bulls wear dark blue shirts and yellow shorts on the road. In 2008 New York Red Bulls made it to the MLS Cup final, but they were not capable of matching Columbus Crew (1-3) in the Home Depot Center clash. A number of top-class footballers were part of the team in the past, but former Arsenal forward Thierry Henry is the synonym of the club. Henry scored 51 goals in 122 league games for New York Red Bulls from 2010 to 2014 and it has to be noted that he scored his first MLS hat-trick in a 5-2 victory over Montreal Impact on March 31, 2012. The likes of Youri Djorkaeff, Lothar Matthaus, Roberto Donadoni, Rafael Marquez, Juninho and Tim Cahill played for the club in the past as well.